A masterpiece . . . I challenge any author to top it!' Sigridur Alberstsdottir, Icelandic National Broadcasting Service. Jósef Loewe enters the world as a lump of clay - carried in a hatbox by his Jewish father Leo, a fugitive in WWII Germany. Taking refuge in a small-town guesthouse, Leo discovers a kindred spirit in the young woman who nurses him back to health and together they shape the clay into a baby. But en route to safety in Iceland, he is robbed of the ring needed to bring the child to life. It is not until 1962 that Jósef can be 'born', only to grow up with a rare disease. Fifty-three years on, it leads him into the hands of a power-hungry Icelandic geneticist, just when science and politics are threatening to lead us all down a dark, dangerous road. 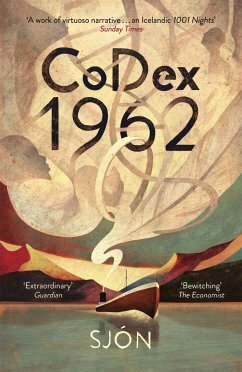 At once playful and profoundly serious, this remarkable novel melds multiple genres into a unique whole: a mind-bending read and a biting, timely attack on nationalism.